So I met up with Joyce again, a friend who I haven’t seen in ages. 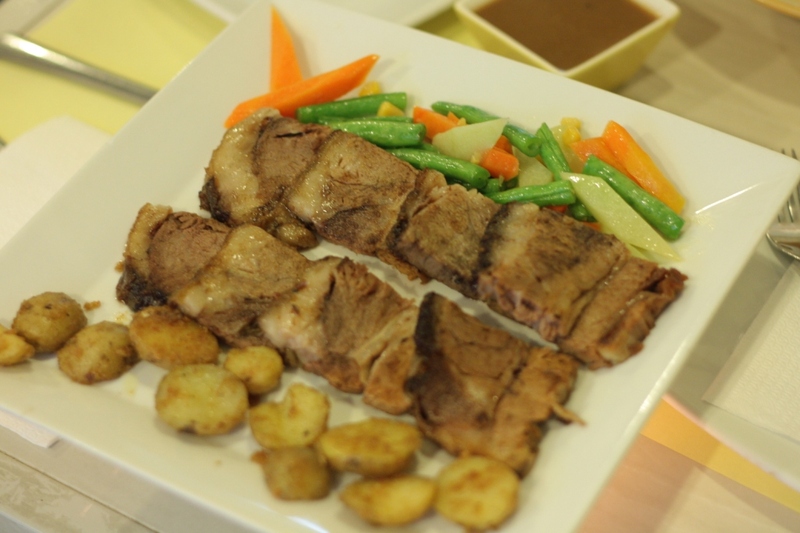 She treated me to H Cuisine’s specialty of the house which is angus beef for sharing. 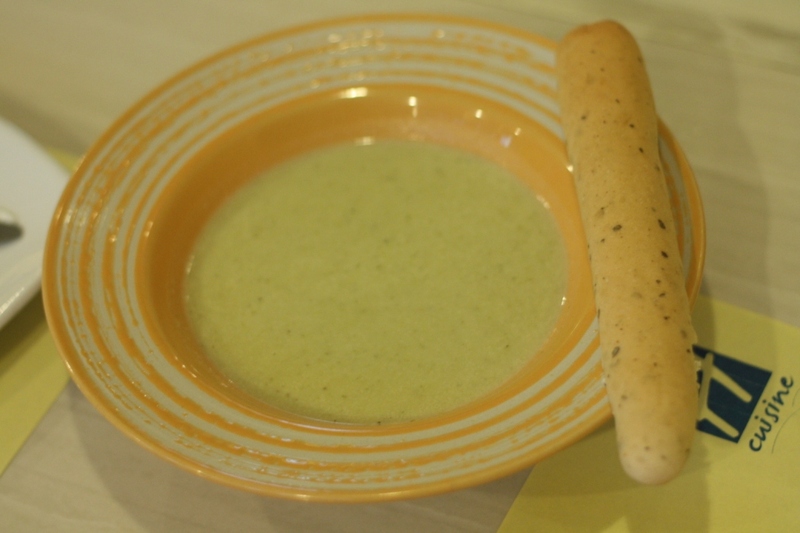 I also ordered soup but it was forgettable so no use of trying to remember what it was exactly. I actually brought home the leftovers and Phil loved it. Unfortunately I’m not as easy to please and as it is angus beef and as it is the specialty of the house. But anyway, it wasn’t terrible if that’s what you’re asking. It’s quite okay except that I expected more. You know what I mean? Meat lovers will find it such a treat. Make sure to check store hours as they don’t have regular store hours. They can only accommodate few guests at a time so try to be early. Ah and I ordered a citrus cocktail when we checked out Lola Café after dinner. It’s such a shame if I just ordered a beer right? Thanks Joyce for an interesting night and for introducing me to their angus beef. 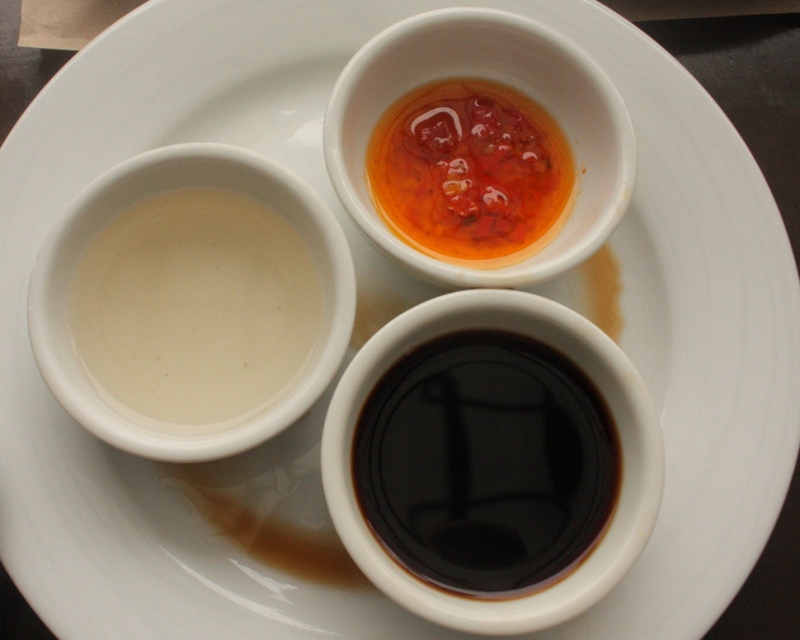 We ate at Kanin Club on January 1st and it was just lovely as I’ve been wanting to try it out for some time now. Mainly, it was my dad who wanted me to try it but many others were also raving about it. Specifically papa liked the sinigang fried rice and the dinuguan. 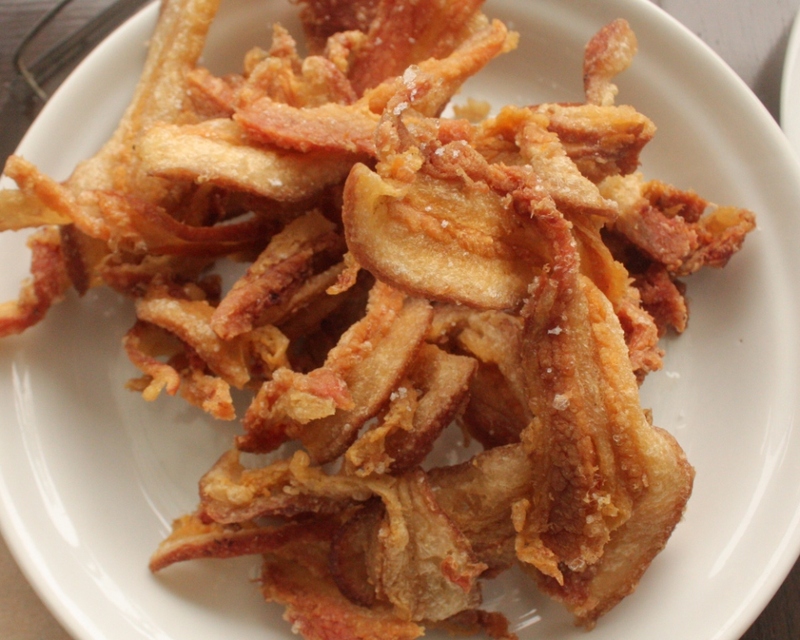 We ordered liempo which was thinly cut and deep fried to a crisp. It’s somewhere in between samgyupsal and bacon. It was a little bit too salty for us but I know we have bland taste and most will probably enjoy that usual salty helping. 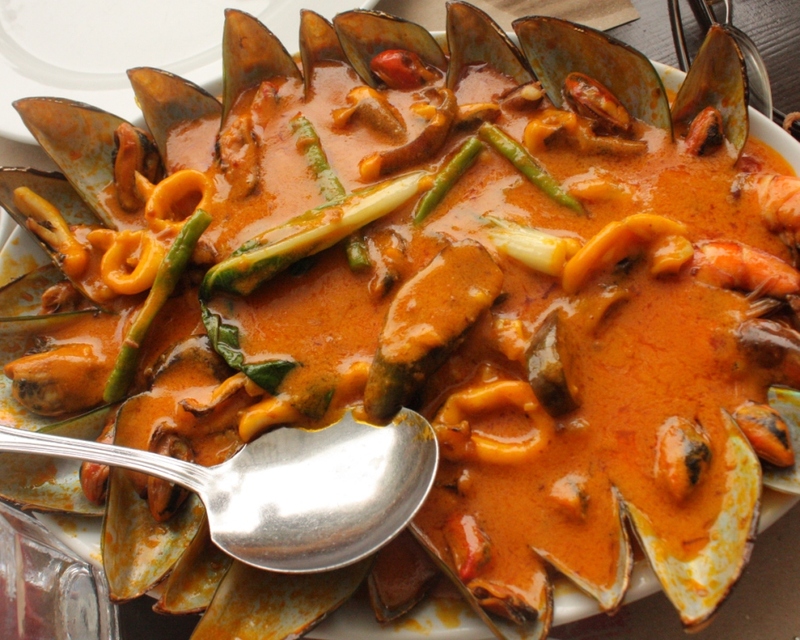 I loved the seafood kare kare which made me think about learning how to cook it. I’ll try making the classic one and after I’ll make the seafood one followed by a vegan variation. Now, whether or not I’d be able to this year would depend on kare kare experts volunteers willing to tutor me. The dinuguan which is basically deep fried crunchy pork dressed in sauce is tricky. 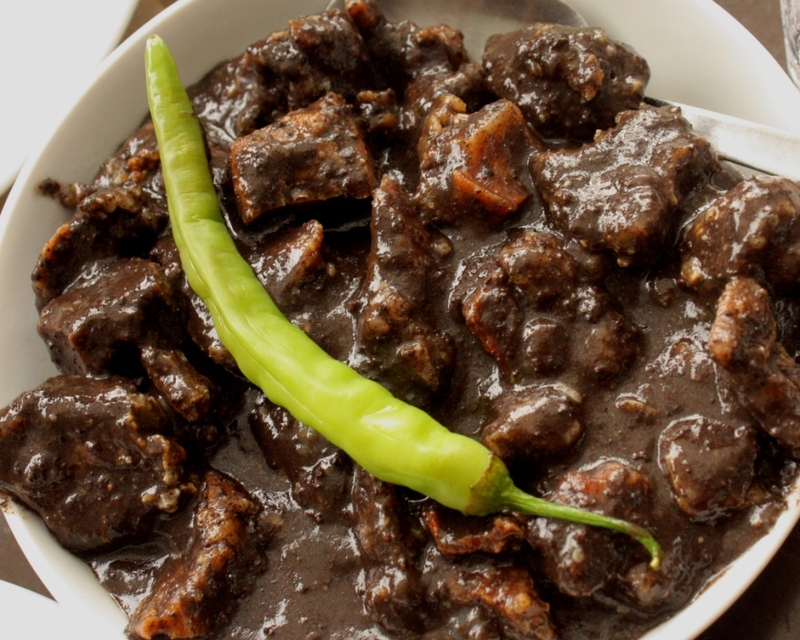 While it would be impressive for people who do not usually like the livery taste of the classic dinuguan, those who often eat it would crave the classic way they do it. I thought it’s a bit expensive but I’d still recommend it. Sample it and see for yourself yeah?